Today on Three Times A Charm we welcome author, Michael Thal. I love introducing my readers to the people who work in children’s publishing. So nice to have you join us, Michael. Can you tell us a little about yourself, please? I’m the author of four published novels—Goodbye Tchaikovsky, The Abduction of Joshua Bloom, and The Koolura Series—The Legend of Koolura and Koolura and the Mystery at Camp Saddleback. Since 2009 I have been a columnist for the Los Angeles Examiner writing articles about parenting and education. Moving from the frigid Northeast to comfy Southern California in 1973, I taught elementary and middle school for 28 years until a freak virus left me deafened at the age of 50. I reinvented myself as a writer composing over 80 published articles in print magazines as well as novels for middle grade and high school aged students. 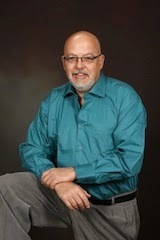 You can learn more about me on my website at www.michaelthal.com. My books can be purchased on Amazon.com and Barnes & Noble in print and as e-books. 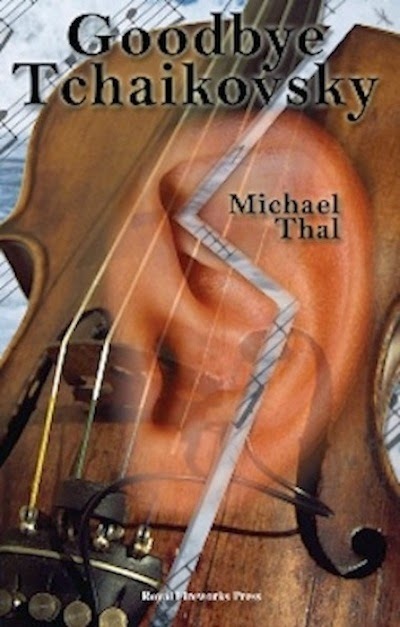 Goodbye Tchaikovsky is about a violin virtuoso being plunged into a deaf world, necessitating him to adapt to a new culture and language in order to survive. The Abduction of Joshua Bloom tells the story of a teen and his alien abductors who justify their act in an attempt to save their people. Joshua finds himself in a world dominated by women, and men are subjugated to their whims. He travels to a dinosaur world, visits a water planet, and a world doomed by a star about to nova. 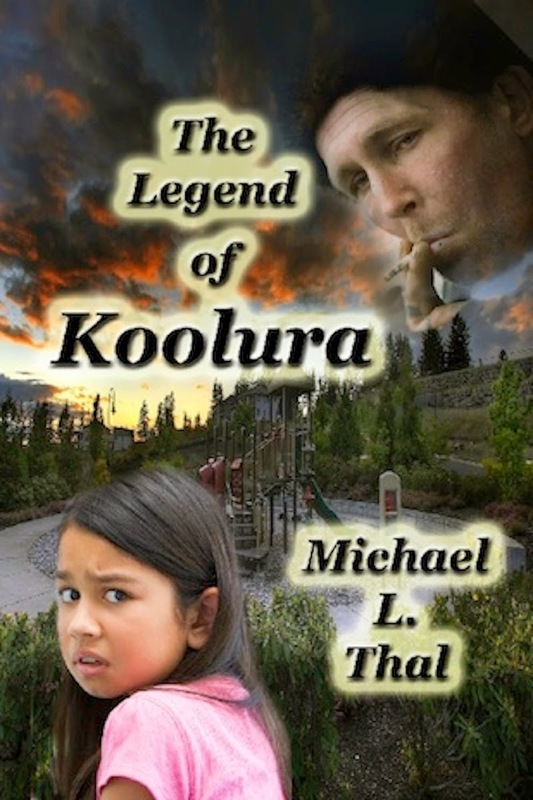 The Legend of Koolura tells the story of a sixth grade girl and how she obtained the cool powers. She has the ability to dematerialize at will and reappear where she chooses. She can move objects with her mind and she can even defy gravity! 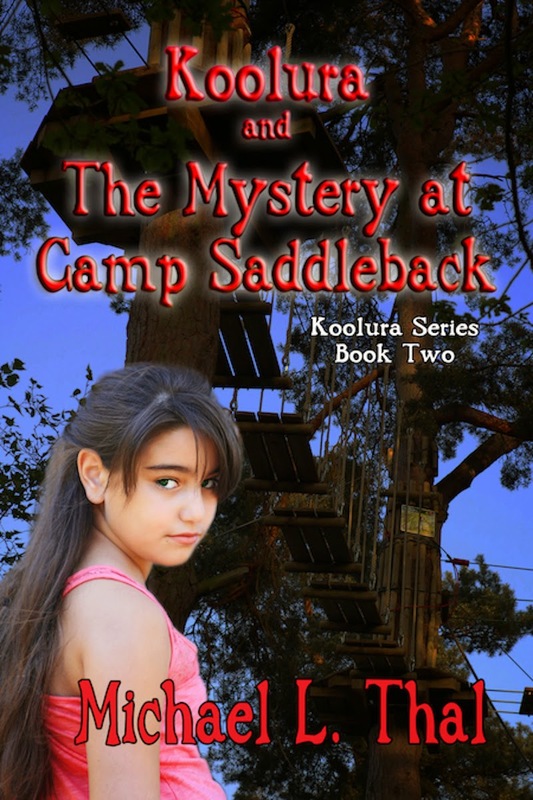 In Koolura and the Mystery at Camp Saddleback Koolura is back in her second adventure. Koolura has the ability to teleport, levitate, heal, and even fly. But at Camp Saddleback Koolura wakes up drained and powerless. Who or what has stolen her psychic powers? Okay – now it’s time for the three’s. Please share you top three answers to the following questions so we can get to know you a little better. One of my favorite writers is Anne Louder McGee. She’s one of the many Indie authors who get lost in the forest known as Amazon. I’d like to share three of her wonderful YA novels. Anni’s Attic- Anne McGee’s historical novel, Anni’s Attic, provides a heart-wrenching look at the atrocities of the Civil War and its affects on the lives of the people living in the Savannah countryside. The YA book is a marvelous character study of Anni and Jenn. During the course of the war the cousins encounter spies, racial hatred, the Underground Railroad, and Sherman's March to the Sea. In the confines of a secret attic in White Magnolias, the cousins begin to depend on each other, and in so doing learn what love and respect truly means. The Mystery at Marlatt Manor: Anne Loader McGee brings us this fast paced middle school novel about teen sleuth Mallory who uncovers a mystery around a missing girl and the weird people that seem to be hunting for a possible lost treasure. Mallory’s grandmother, Aggie, may lose her beloved home and Mallory has strange dreams that may be the key to solving everyone’s problems, including the manor’s mystery. Mystery of the Missing Ming: Mallory Gilmartin is back again in this new mystery. With her signature crisp sentences and humorous dialogue, McGee keeps readers engaged in a fun-filled adventure that unfolds during the 1970s in Cedar Creek, Virginia. The cast of characters include Aggie Hobbs, Mallory’s 60 something grandma, who expects her grandchildren to call her Aggie, OR ELSE! Sidekick, Kyle, reluctantly gets involved in Mallory and Aggie’s schemes that too often get him into trouble with his dad and or the law. Added to the mix is Mallory’s gift of communicating with the dearly departed. McGee swirls this around with her magical wand creating thoroughly enchanting novels that readers won’t be able to put down. 1. Make education your top priority. In the 21st Century you’re not just competing with kids in your city, state, or country. Competition is on a global scale, so prepare yourself with skills to make yourself marketable. 2. Put your family before your friends. Friends come and go, but your family will always be there. Nurture that relationship as if your life depended on it, for some day it just might. 3. Push yourself to exercise every day. The best health insurance policy you can buy isn’t Obama Care, it’s gym membership. Work out at least 4 days a week vigorously making it a lifelong habit. If you do, when you reach old age, you won’t look it, inside and out. As a child I wanted to be a doctor. Once in college, I thought of becoming a diplomat, but after a few summers as a camp counselor, I decided to become a teacher. Now here is why your education is so important. Let’s say you want to become a professional basketball player, and you’re really good. Now let’s say a player on the court runs into you forcing you to fall and break a leg. You are soon told you’ll never play probasketball again. Your education is what you can fall back on. After 28 years of teaching I suffered from a severe hearing loss caused by a virus. I couldn’t understand a word my students said to me. My ENT specialist suggested I take disability, which I did. My education helped me retrain myself to become a successful writer. In my youth I had prepared myself for that “broken leg.” You should do the same. Thanks for introducing us to another Indie author. Finally, where can our tech savvy readers find you online? Thanks for joining us on this week’s Three Times A Charm, Michael! Best of luck to you and and your writing.